Join the FUN and EXPERIENCE the St. Luke difference during ST. LUKE SUMMER 2019. Campers will enjoy adventures in fishing, music, STEAM, math, drama, and much more! The St. Luke campus will be alive with activity as campers experience the St. Luke Innovation Station STEAM LAB, take the Ministry Center Stage to perform, fine tune their fishing skills at area lakes, and enjoy old fashioned summer camp fun! ST. LUKE SUMMER is open to children from 3 – 14 years of age. Please see individual camp descriptions for details about camp times, pricing, and age/grade requirements. ST. LUKE SUMMER is presented by the St. Luke Church CORNER KIDZ Children’s Ministry and St. Luke School. We are honored also to host two camps presented by the Columbus Regional Mathematics Collaborative. ST. LUKE SUMMER is open to all interested children in our community. 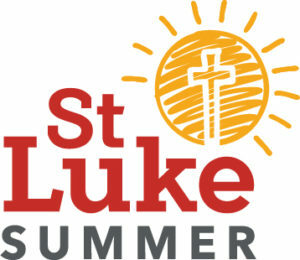 To register for any ST. LUKE SUMMER camp offering click here or use the St. Luke Summer 2019 link in the Quick Links Menu. Questions? Contact ST. LUKE SUMMER Camp Director Tracey Williams at twilliams@stlukeum.com. « 2019 Moms’ Choice Award Winner!